The second day in a row of triple digit heat will keep temperatures climbing to a possible high of 103 degrees, NBC 5 Meteorologist Grant Johnston said. Johnston forecasts a fast warm-up with the hottest temperatures hitting around 4 p.m. The situation means more chances for burst water pipes. Four water mains have burst this week as temperatures and dry conditions plague the aging North Texas water structure. "The heat of the summer this time of year pulls moisture out of the soils causes them to shift, the brittle pipes can't move with the soils so they break," Devon Tiner, President of the Fort Worth Branch of the American Society of Civil Engineers, told NBC 5. 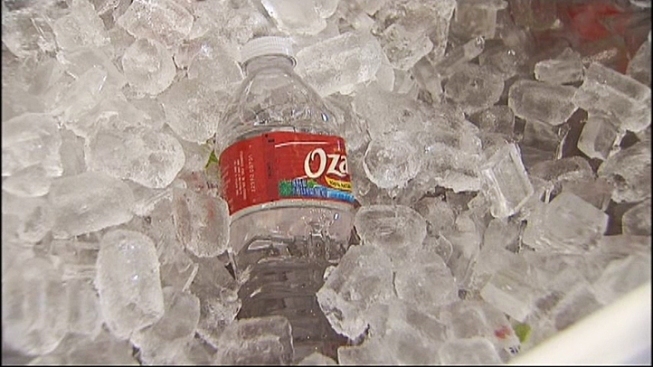 A cold front is coming to lower temperatures after the hottest day of the year. But relief is in sight -- a cold front will push through the area starting this weekend, lowering temperatures into the high 80s or low 90s through July 4. 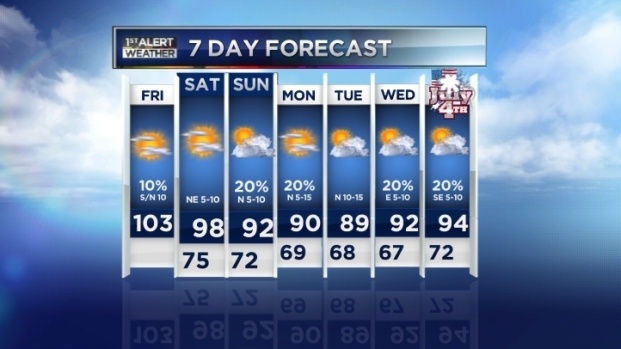 Additionally, a slight chance of rain on multiple days in the coming week could help North Texans feel a little cooler.